This black Crew Cab 4X4 pickup has an automatic transmission and is powered by a 5.3L V8 16V GDI OHV engine. Given that effortless motor it gets 14.1 L/100 km in the city and 10.6 L/100 km out on the highway according to Transport Canada. Total rebate of $12087 is reflected in the price. Get up to 20% of MSRP Cash Purchase Credit on Now! Incentives expire 2018-10-31. See dealer for details. 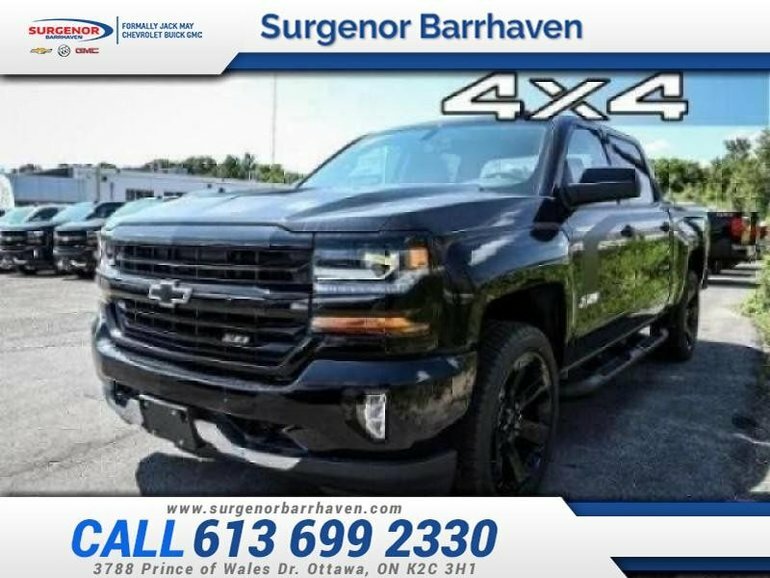 Ce véhicule, Chevrolet Silverado 1500 LT - $353.83 B/W 2018 vous intéresse?